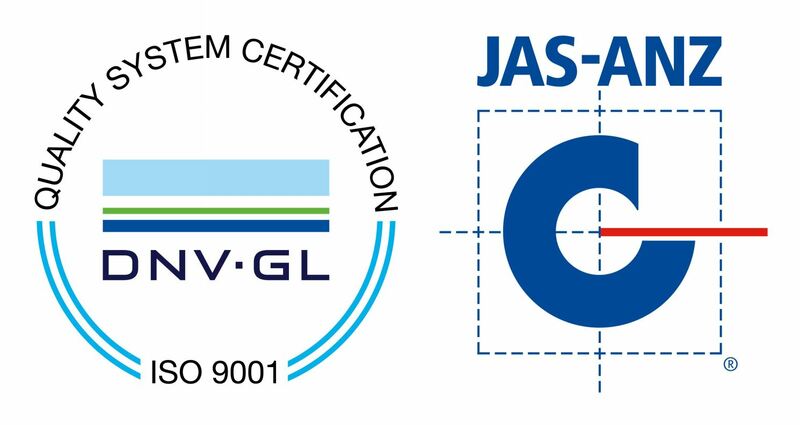 We at Innovact Consulting are proud to announce that the Quality Management System of the company has been certified according to the standard ISO 9001:2015 by DNV GL. 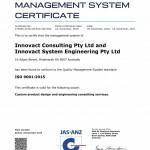 The ISO 9001 certified Quality Management System covers; custom product design and engineering consulting services. 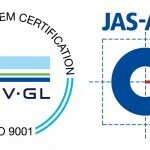 This success is a result of continually improving our products and services and could not have been achieved without diligence by all personnel within the company. 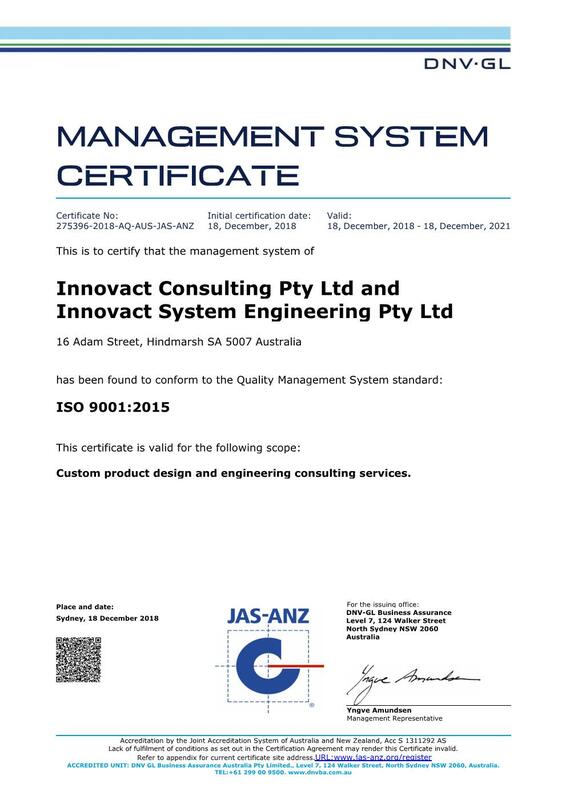 Innovact Consulting also acknowledges Dan Hadley and Sean Bates at JLB (www.jlb.com.au) for their involvement in seamlessly implementing our ISO Quality Management System in order to achieve ISO 9001 accreditation. We look forward to exciting opportunities and projects with our new and existing customers.